It’s time to wake up together! The European Wake Up Ambassadors had a retreat in Upper Hamlet, May 11-18th 2018. The organizing team, which consisted of monastics and several Wake Up Ambassadors, had an online meeting before the retreat started to discuss the schedule and topics we could propose for the Dharma talks, Dharma sharings, and workshops during the retreat. We discussed not only the practice and study during the retreat but also play as the other important element of Plum Village practice. We organized hiking, and we played a lot of games to get to know each other more and to nourish our joy and happiness. During the week we attended the regular Days of Mindfulness in Plum Village, so we had a chance to listen to the Dharma talks from Dharma teachers. Brother Phap Huu offered the Dharma talk on Sunday, May 13th. We had proposed to him the topic of “Nourishing Ourselves” as a topic for the Wake Up Ambassadors’ need to deepen their practice. Brother Phap Huu shared about the practice of pebble meditation. There are four qualities that we can develop to nourish ourselves. These qualities are represented in four pebbles: fresh as a flower, solid as a mountain, calm as still water, and free as space. If we are too eager to nourish other people, but we are not fresh, solid, calm, and free enough, we may make other people suffer. That is why nourishing ourselves is a very important practice before we begin to nourish other people. During the lazy day on Monday, the Wake Up Ambassadors were encouraged not to organize anything during the day. Because the monastics know they are all organizers and facilitators of their Sanghas, they encouraged the ambassadors to let the day unfold naturally by not organizing anything. For the next day, we were very lucky to have Sister Chan Duc and Brother Michael in the Questions and Answers panel. The ambassadors asked many questions concerning the difficulties they encounter in their local Sanghas. Sister Chan Duc and Brother Michael shared many valuable experiences and insights they had in the monastic Sangha. Brother Michael has been involved in Wake Up London, so he shared many experiences he had in his local Sangha. On Wednesday, we hiked to the church in Monbos through the little forest around Plum Village. On this occasion, we were able to connect more with each other and Mother Earth. We did total relaxation on the wide field around the church. We were very fortunate to have good weather during the hike, so we enjoyed the blue sky and the wonderful scenery of the countryside while relaxing our body. In the evening, we had tea meditation at Thay’s deck in Upper Hamlet. We enjoyed the most beautiful scenery in Upper Hamlet, the Plum Village television screen as Thay called it. We sat together in a half circle, so that everyone could enjoy nature’s television while enjoying the presence of one another and the tea. We shared stories, sang many songs, played instruments, and some people danced. 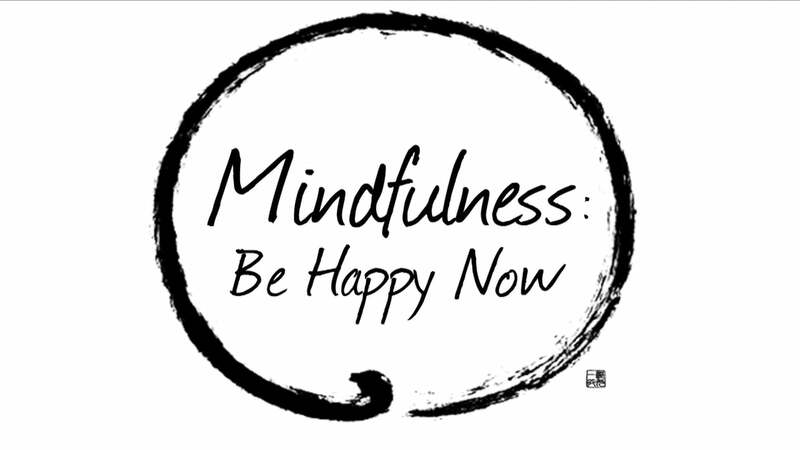 We had a Day of Mindfulness on Thursday, May 17th in Lower Hamlet. Sister Thuan Nghiem shared a lot about her personal experience in the Sangha. She arrived in Plum Village a few months ago, after living for many years in Asian Institute of Applied Buddhism in Hong Kong. She shared about her arrogance as a young nun and how she did beginning anew with the elder sisters in Lower Hamlet because she realized that her arrogance had made people suffer. Then she shared her experiences in practicing the Five Remembrances. In the afternoon we had a meeting to discuss the continuity of the European Wake Up Ambassadors. We decided to create a Care-Taking Council (CTC), but we didn’t want to call it CTC. We called it “Oomph,” because it sounds more fun! Some ambassadors shared in the beginning that they felt a little bit reluctant to create the European Wake Up CTC as they felt they already had a lot of work in their local Sanghas, such as replying e-mails, and they didn’t like to reply more e-mails if we had a CTC on a national level. We had a workshop on the CTC earlier that week in which everyone could share their experiences in the CTC of their local Sanghas. We realized that if we can nourish each other just like in this retreat, we feel refreshed and we can recharge our batteries, so that when we go back to our local Sanghas, we can help nourish our friends in our local Sanghas. It would be great if each country in Europe with Wake Up Sanghas has at least one representative. Nevertheless, the Wake Up ambassadors who were not able to join this retreat are welcome to join Oomph. Please contact one of our Oomph members at info[at]wkup[dot]org. To be the change in the world, we want to see and to redefine society takes effort and time. There are times we feel tired when building Sangha and that is the signal we have to recharge our batteries. One of the ways to recharge our batteries is by coming back to our root Sangha in Plum Village. Another way is by having an online gathering with other Wake Up Ambassadors. We have been using Zoom for our online meetings since last autumn, and we want to continue to use it to nourish each other. Nourishment and joy are the main purpose of Oomph! Next articleLet’s Play. Let’s Go with Enjoyment!